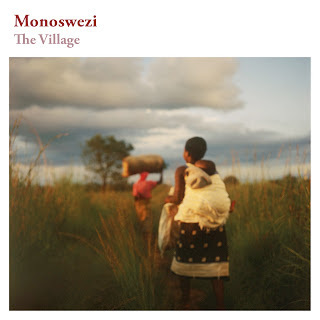 Mozambique, Norway, Sweden and Zimbabwe, those are the countries which contribute with musicians to Monoswezi. The music is re-arranged melodies from Zimbabwe. As we heard on the album from 2010 the African music is at the center. Right beneath the surface elements from jazz and Nordic music is heard. Saxophone player Hallvard Godall, bass player Putte Johander and drummer Erik Nylander are the Nordic contribution while Hope Masike from Zimbabwe sings and plays mbira – a kind of thumb piano. Calu Tsemane from Mozambique sings and plays percussion. Norwegian Godall lived a year in Maputo in Mozambique in 2008 and here he really got the music under his skin. It is easy recognizable rhythms from Africa that dominate the album. The quintet works mostly with repetitive elements, but the minimalistic thoughts of Steve Reich and Philip Glass are also present. Hope Masike has a warm and tender voice. Together with the saxophone of Halvard Godall’s they are the attractions from Monoswezi. There’s world music in this meeting. It’s world music in action and it sounds good. In 2010 he did the album Elegy with this trio and once again bass player Mats Eilertsen has teamed up with piano player Harmen Fraanje and drummer Thomas Strønen. The collaboration between Strønen and Eilertsens goes far back and can be heard in groups like Parish and Food. The Dutch piano player Harmen Fraanje is well established on the Dutch jazz scene with several releases on his resume. The music on this album has been improvised into being in the studio. All three musicians are credited as composers. Their aim is to do improvised melodies, sounds and situations which sound as if they were composed. They succeed in doing so. The music is laid back and so loose in its structure that the musicians can take turns in leading. Harmen Fraanje often plays off beat – but melodically – so it doesn’t become too messy. Stønen is pacing. 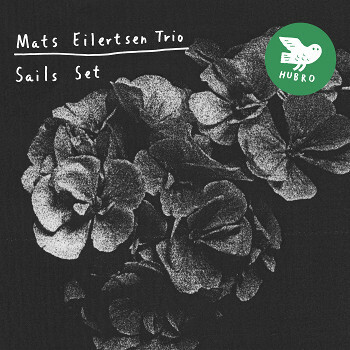 Eilertsen controls the middle and guides the two musicians in the direction he wants the music to go. It’s almost an understated trio album with an organic and vividly expression. This is the first album released in Chris Potters own name on ECM Records. Previous he has contributed to ECM releases with Dave Holland, Paul Motian and Steve Swallow. The inspiration for this album comes from Odyssey by Homer. Craig Taborn is at the piano – he also plays with Chris Potters Underground, an orchestra which has done some wonderful albums. He is assisted by another piano player David Virelles on prepared piano, celeste and harmonium. Larry Grenadier on bass and Eric Harland on drums complete the quintet. 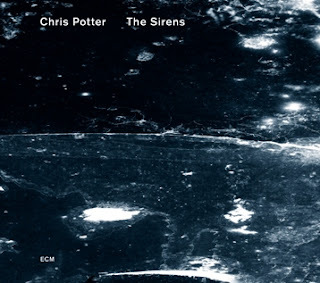 Chris Potter plays soprano and tenor saxophone as well as bass clarinet. There is room enough for the big emotions on the album. The adventure, the journey home, the temptations and the identity are some of the things which have attracted Potter to the Odyssey. It’s been 13 years since he received the Jazzpar Prisen. He is still on top of his game and this new album is a fine document from one of the strongest saxophone players on the American jazz scene. The lyricism in his playing has a hint of melancholia which brings intelligence and body to his tone. It’s only been a month since I recommended the amazing debut album Rio en Vermelho e Azul from Morten Ankerfeldt. 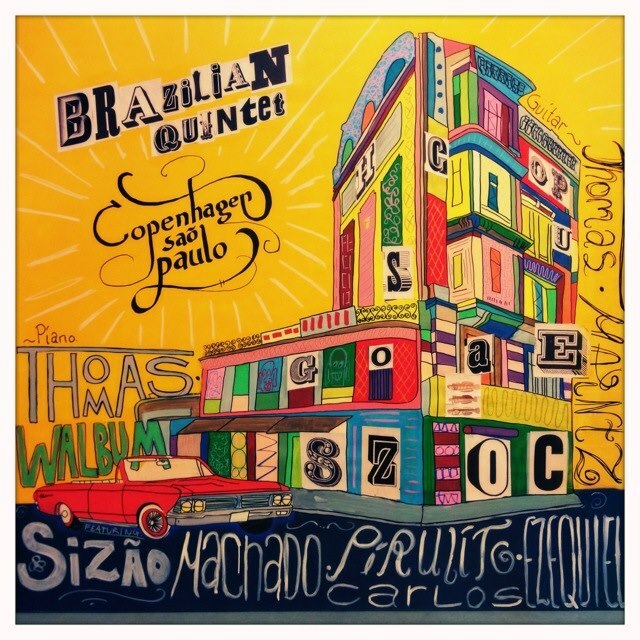 An album recorded in Brazil with local musicians. Like this album. Guitar payer Thomas Maintz and piano player Thomas Walbum travelled to Brazil to record with local musicians. Is it all the same, then? Well, when it comes to the recommendation from this blog, it is. Musicially it’s different. Maintz & Walbum is like a drink in the summer breeze while Ankerfeldt is more like a cup of coffee. In the 80ies some American guitar players like Pat Metheny and Lee Ritenour flirted with Braziliean music. They played acoustic jazz guitars like no one else and inspired a whole generation of guitar players. Including Thomas Maintz. 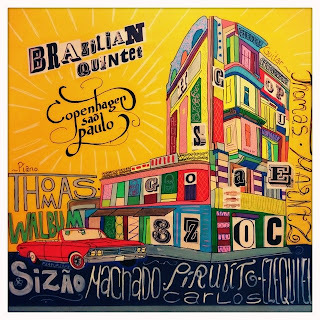 Walbum & Maintz has the same light and spontaneous approach to Brazilian music as the one we heard in the 80ies. They stood on the shoulders of fusion jazz, swaying their hips in a joyous dance. The two Danes share the title as composer. In Brazil they found three experienced musician to take care of bass, percussion and drums. Bass player Sizao Machado has collaborated with both Chet Baker and Milton Nascimento. It’s the two Danes who are in the spotlight, though. But there is plenty of room left for the Brazilian musicians. When Maintz is playing his acoustic guitar it is a delightful pleasure. He is playing with confidence. Walbum’s sense of melody makes the music flow all naturally. Walbum & Maintz has made an album which should be the accompanying sound of the good days in life. Bonus info: They will be playing concerts during the summer where you will see them on festivals in Copenhagen and Aarhus, Denmark. There’s only one saxophone player whom I have dug more than John Coltrane. It’s alto saxophone player Julian ‘Cannonball’ Adderley. In sound, attitude and expression, he is simply unique. I was turned on by the meeting between jazz and rhythm’n’blues/soul and want became souljazz. I was turned on by his unique collaboration with his brother and trumpet player Nat Adderley, which is an important headline in the story about Cannonball. I was turned on by those sidemen he collaborated with, especially Joe Zawinul. It’s Jesper Lundgaard who has provided with me the opportunity to tell about my enthusiasm for Cannonball. 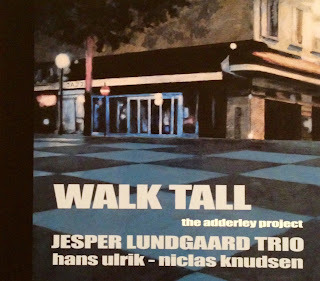 Lundgaard has recorded a tribute album to the jazz giant. Previous Lundgaard has released tribute albums to Jimmy Giuffre, Cornelis Vreeswijk and in 2005 it was themes from movies. Once again Lundgaard is with Niclas Knudsen, guitar and Hans Ulrik, saxophone. They approach the material with both originality and respect. One of my great Cannonball-favorites is Walk Tall. Niclas Knudsen opens the tune with acoustic guitar where the original uses electric piano. Hans Ulrik adds a cry on his saxophone which is the spiritual mood of the original worthy. Of course it’s not fair to Bobby Timmons to credit Cannonball for the souljazz-classic This Here, as it’s done on the cover. Cannonball made the melody famous but it was his piano player who wrote it. Four of the eleven tracks are written by members of the trio. They hit the Cannonball-nerve very well. They do classics: Stars Fell on Alabama, Nippon Soul and Sack O Woe. A nice ending for an intimate and well played celebration of one of the biggest alto saxophone player in history (yeah, yeah, I know Parker is the greatest – but I’m a bigger fan of Cannonball). Jesper Lundgaard is playing aggressive and delicately raw on his bass. He knows when to step forward and when to retreat. Niclas Knudsen is playing both electric and acoustic guitar – together with Hans Ulrik he is creating the right mood. Oh, and I have to mention that nobody uses the bow on a bass better than Jesper Lundgaard. Listen to This Here and Sack O Woe.